Normally I would be most focused upon the Hanger Clips and S-Hooks employed as hardware rather than the Floating Frame Apparel Display overall. But I must admit that the run-around box structure creates a 3D frame for focusing attention. 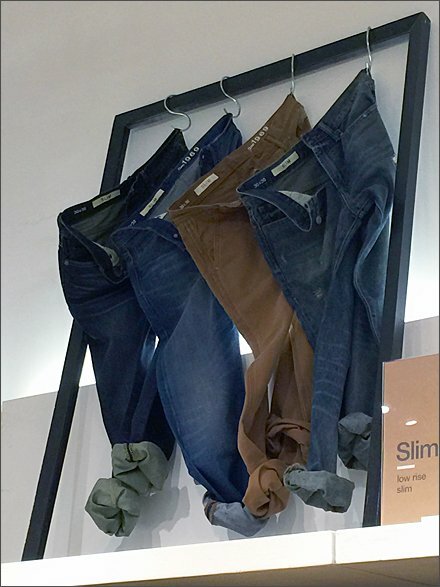 Jeans and Shirts don’t hang merely within the frame, but through it for greater dimensionality. I apologize if normal photography is a bit flat and does not catch the added depth. My portable 3D hologram SmartPhone is in the shop for repair. 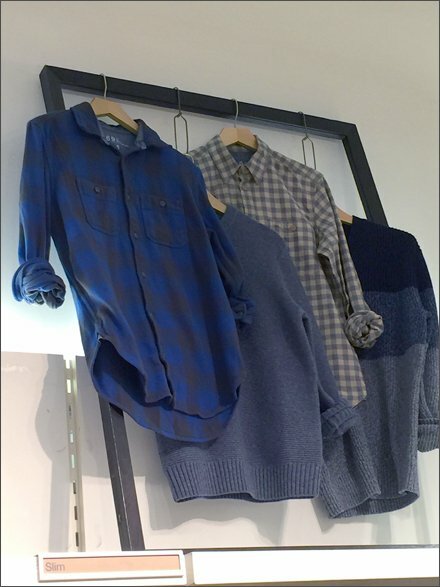 See the Floating Frame Apparel Display thumbnail for alternate display. Both images are part frame, part shadowbox in look.